According to Encomium magazine, the man of God and head pastor of Household of God told Christian leaders who went to see him that he will reveal what his wife did to him to make him end their marriage, sometime next year. 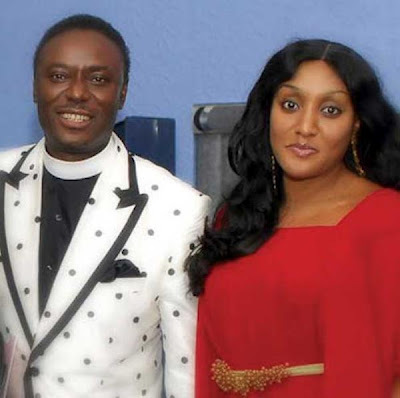 They said Pastor Okotie has refused to listen to admonitions and pleas by other pastors who have repeatedly called him or visited his church. He has refused to tell anyone what Stephanie Henshaw did to him; all he says is that he's not ready to give details now but will reveal all a year from now.